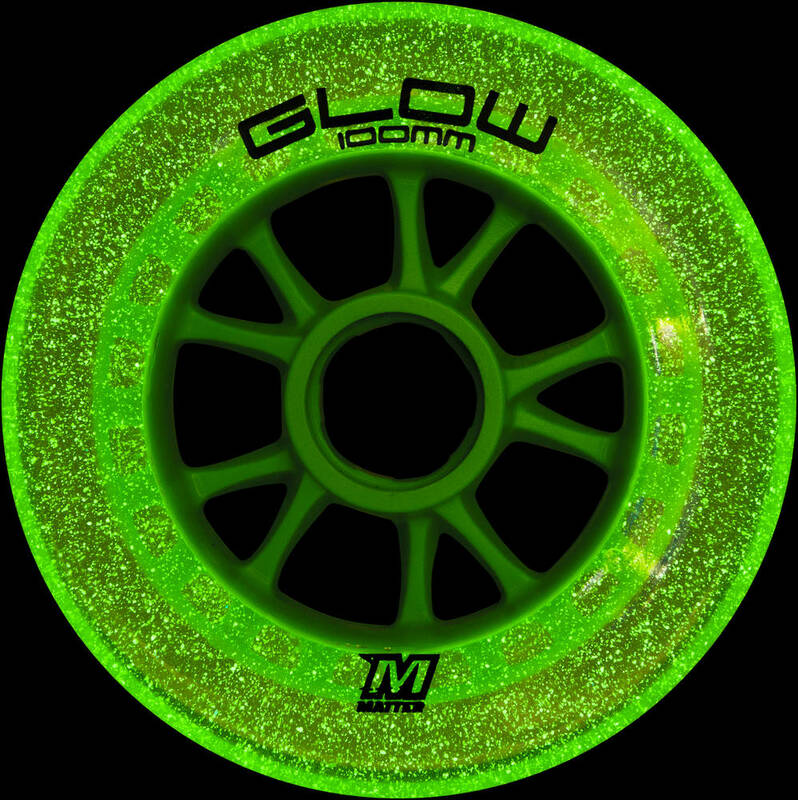 Matter Glow ruedas son únicas con su resplandor en el efecto oscuro combinado con gran agarre y material de alta velocidad de la PU. 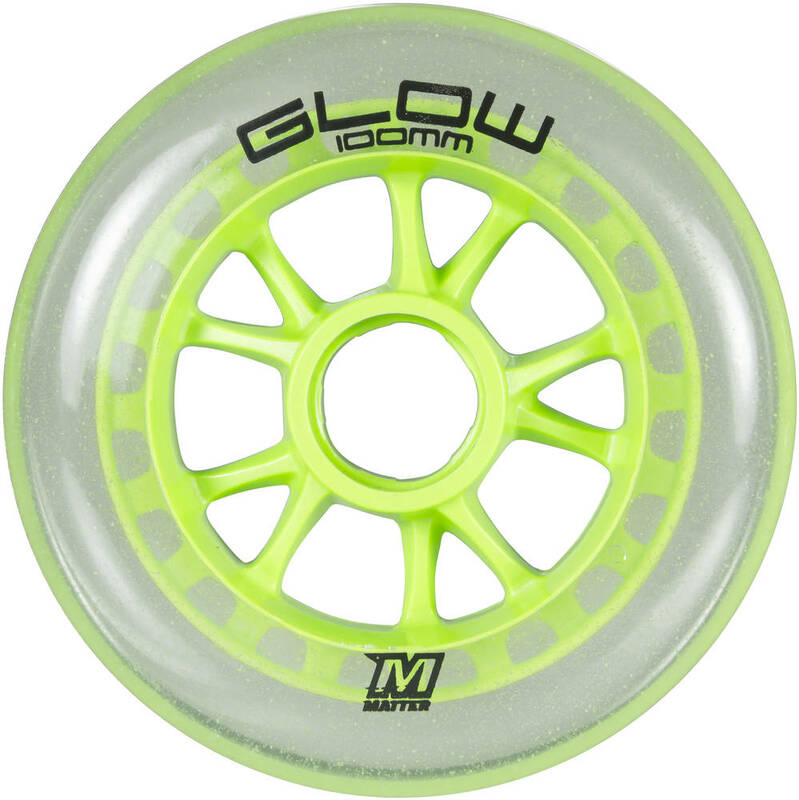 They glow nice when they're clean but any dirt on the wheel, even dust, will hide the glow. I also found that the urethane wore out quite fast. Loads faster than fothons though which all broke within 2 sessions.